Last weekend we got the wallpaper up in the nursery and it's starting to take shape. After painting two walls, we were left with one blue wall, a sad reminder of the room Oliver only got to spend 3 months in. 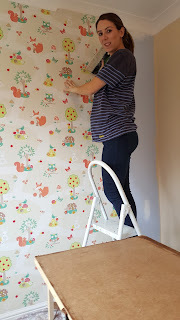 I deliberated over wallpaper for ages before choosing one. I'm still not committed to having a girl, after all, they could have got it wrong on the scan, so we decided to play it safe and go neutral. 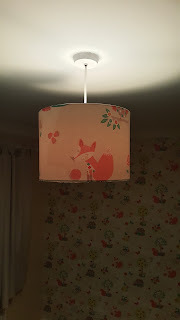 Wallpaper up, and after trawling the net for a lampshade I drew a blank so decided to make my own. Look at your pattern on the paper and decide how this will best fit onto your shade- my paper had a large pattern so I picked a bit which would work best with the height of the shade. Measure out the section ensuring it's straight...or it'll be wonky! 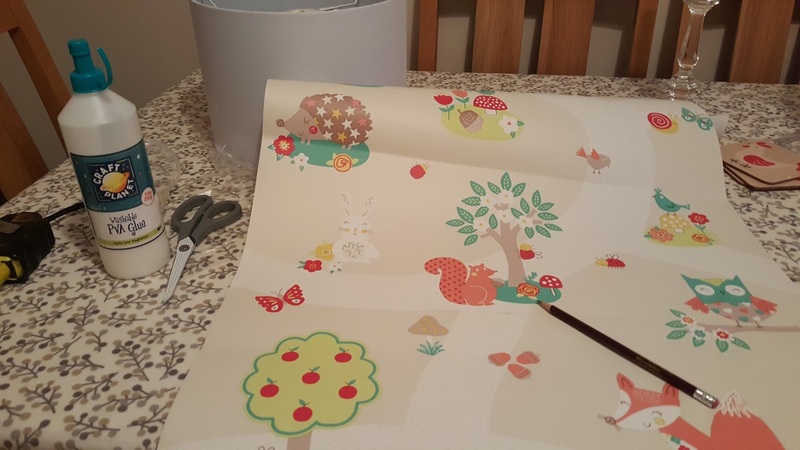 Cut this out and wrap round your shade- measure the length of any extra pieces required to cover the shade. Depending on the pattern you might need to cut your next piece so it matches up. Mix your PVA glue with a little water so it forms a loose paste and spread this onto the reverse of your paper. Carefully apply the paper to your lampshade (ensuring the shade is the correct way up, only a moron would realise after that their shade was upside down). Ensure the paper is straight and there are no bubbles. 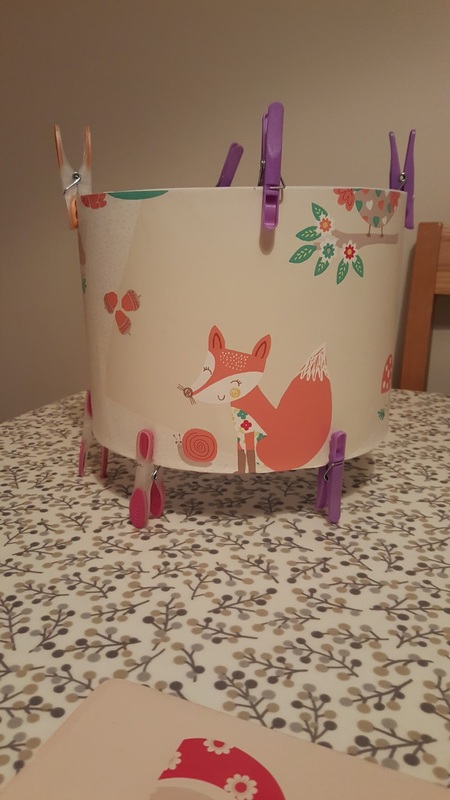 Apply any additional pieces as needed- bear in mind, any overlaps will show up once the lampshade is lit, so keep these to a minimum. Use washing pegs to hold the paper in place whilst it dries. 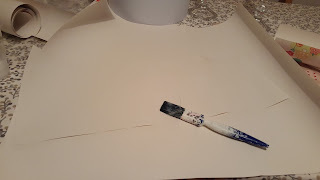 Any excess glue can then be sponged off. Leave to dry and voila!